WA Apiarists' Society - Why Won't My Bees Come Home? Until recently, no one really knew where all the bees were going; sure lots was being said and published about Colony Collapse Disorder (CCD), but people didn’t really know why. A number of possibilities were considered - parasites, pesticides, even cell phone tower radiation. But no one could explain why, instead of returning to their hives, bees seemed to simply vanish. Recent studies have begun to identify a major player - neonicotinoids, a group of chemicals found in almost all insecticide. In 2012 and 2014, studies were published linking neonic exposure to disappearing bees; subsequent studies found that these chemicals can also affect bees’ navigational abilities and fine motor skills. Though CCD may not have a single root cause, and though these findings didn’t fully explain it, it started to seem likely that neonics are at least partially to blame. Further research has demonstrated that a common neonic's profoundly impacted the way bees fly - and it starts to explain why, instead of dying in the fields, honeybees sometimes seem to disappear instead; it makes bees go haywire even in small doses. If you have used insect spray you will have noticed the disturbing way insects wriggle themselves to death, with frantic spasm of limbs and wings. This motion is because the toxin binds to receptors in neurons causing the frenzy, immediately after exposure. With bees, we’re not exposing them to toxic doses - but even at the sub-lethal dose they could encounter in the field, they have this momentary increase in activity. These studies have shown that exposure amps a bee up and disrupts the neural pathways that connect a bee’s wing muscles to its brain resulting in uncontrolled flapping. The bees fly in a zig-zagging, chaotic pattern that rapidly depletes their energy stores and, after a period of wild activity, the scientists found, the amount of movement would drop dramatically - a rush, and then a crash. Neonic-treated bees behaved very differently from the control group and, when given an opportunity, actually prefer neonic-treated water to plain water. 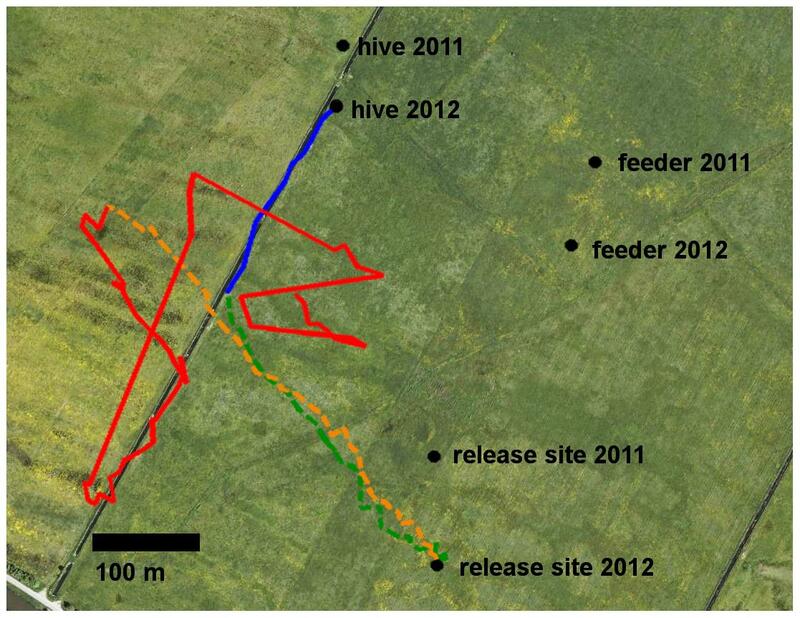 The test results were dramatic - while control bees flew an average of about 2km at a speed of 5.4 km/hr over the course of about 23 mins, bees treated with sublethal, field-standard amounts of neonic flew 78% longer and 72% further. That sudden increase in activity, combined with neonic’s disorientating effect, probably explains why so many bees aren’t returning to their hives. When reading about this problem a common thread emerges “the world is dependent upon cheap production of food to feed people, and it’s not realistic to say that no pesticides will be used at all on a commercial scale” so dropping neonics from the food supply entirely may not be feasible, but the findings are stark enough that we should rethink our approach. So what can be done to reduce dependence on insecticides? Some of the world’s largest food production companies have begun to make a change, using crop rotation and polyculture hedgerows to reduce their dependence on insecticides - surely these same practices could just as easily be applied to our own backyard gardens.